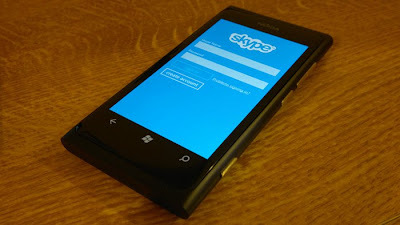 Good thing of Skype for windows phones is that easy interface. You can call,video chat, and instant message your friends without any hassle. Bad thing of Skype for windows phone is that Video quality is not great even a fast internet connection. You can't create or manage your account from the app. Skype for windows phone is a simple app in which you have make free video calling and messaging but the quality of video is very poor. For use Skype for video calls and voice chat first you sign in. first you will see your most recent activity including phone calls and chats. And then on main screen you can make a voice call. Most useful feature of Skype: video calling you can't easily initiate. Process of video chat is very uninteresting that involves swiping over to your contact list, shown in the app as you touch on the person's name and then touch on the video camera button. Than shows the other person's video feed full-screen, with your video feed in a smaller window on the right. You can switch the camera or turn off the video altogether, plus you can mute your microphone.